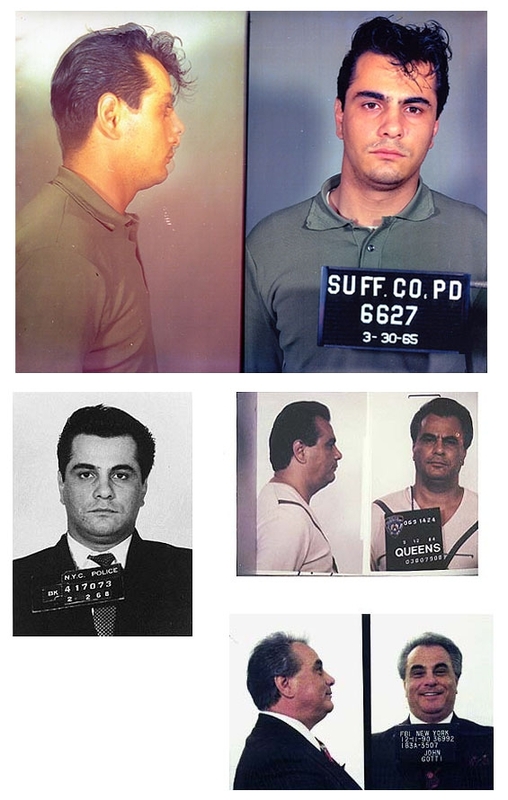 Now that John Gotti's pushing up daisies at St. John's Cemetery, all we have to remind us of the Dapper Don are these mug shots--pictures, shattered pictures of the smiles we left behind. Submitted by rwrh on Mon, 2011-04-25 19:52. Submitted by firewrench88 on Tue, 2010-12-07 00:17. Submitted by lisasmurf on Sun, 2010-10-10 09:22. Submitted by GeorgeDubyaBush on Wed, 2010-09-29 21:10. Submitted by JP70 on Wed, 2010-09-15 22:06. The mugshot from 1965 seems unusually crisp.